The Boss Drum tribe assaults Fort Hardknox. 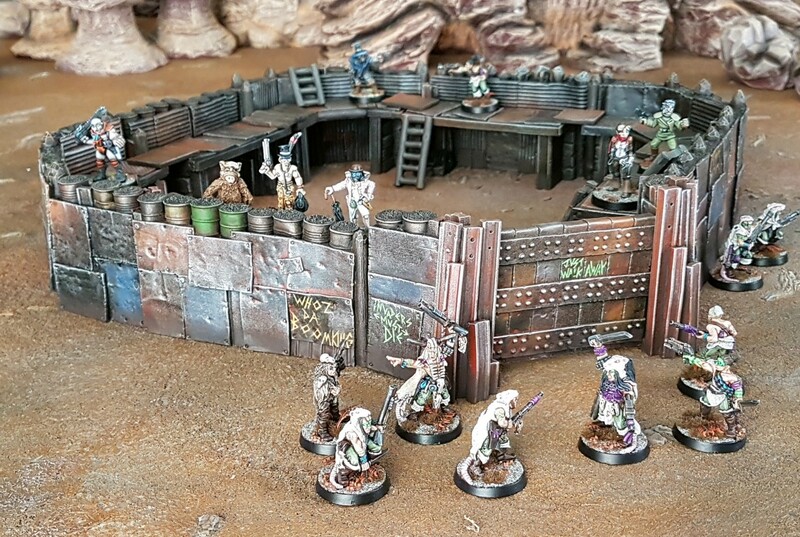 I painted a post-apocalyptic, scrap fort from Fogou Models. It’s shiny AND chrome and I painted it in three working days/24hrs approximately, over a bank holiday weekend.